It’s all fun and X-Games until somebody gets charged with minor in possession of alcohol (MIP). Aspen’s X-Games weekend attracts a notoriously young group of visitors. College students and other youths flock to Aspen anxious to see the X-Games, attend concerts, and take advantage of reduced-price lift tickets. A recent Aspen Times article, however, reports increased crime during the event. The community treats underage drinking seriously. Here’s what you need to know about MIPs in Colorado. What are the possible penalties of MIP? Under Colorado Revise Statute § 18-13-122, a first conviction for Minor in Possession or Consumption of Alcohol (MIP) is punishable by a fine up to $250 for a first conviction. A second conviction is $500. A third conviction or greater is a Class 2 Misdemeanor jail-able offense. A third or greater offense also requires enrollment in alcohol education and treatment. Not only will a minor face consequences criminally but also administratively through the Department of Revenue. Per C.R.S. § 14-2-125, first conviction results in a three-month driver’s license revocation unless the minor completes a required alcohol class. For a second conviction, the DMV suspends driving privileges for six months. For a third or greater conviction, the suspension increases to one year. What if I am not in physical possession of alcohol? Additionally, the police could ticket or arrest you if you appear drunk. Such evidence could include smell of alcohol, slurred speech, balance problems and bloodshot or watery eyes. Often, police officers who suspect a minor is under the influence will ask the minor to submit to portable breath test (“PBT”). Submitting to a PBT is completely voluntary and you always have the right to refuse. Is there any defense to MIP? (1) You can drink on private property with the consent of the owner AND if your parent is present. (2) If you ate or drank something that contained a small amount of alcohol. For example, an alcoholic chocolate or a drink containing trace amounts of alcohol. Most importantly, a person is immune from criminal prosecution if he reports that another underage person is in need of medical assistance due to alcohol consumption. For other less common defenses, please review C.R.S. § 18-13-122. You can seal your MIP conviction one year after the conviction, as long as you were not arrested, charged or convicted of any crime during that year. Though it varies by jurisdiction, many jurisdictions offer “diversion” for a first offense MIP. Diversion allows you to avoid conviction. Diversion requires you to stay out of trouble for three months. It also requires you to take an online or in person alcohol class and pay a fine. 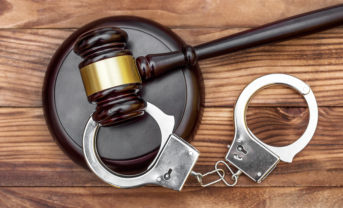 If you find yourself charged with an MIP, the experienced criminal defense attorneys at Kalamaya | Goscha can help you achieve the best result in your case.